Eid al-Adha Festival . 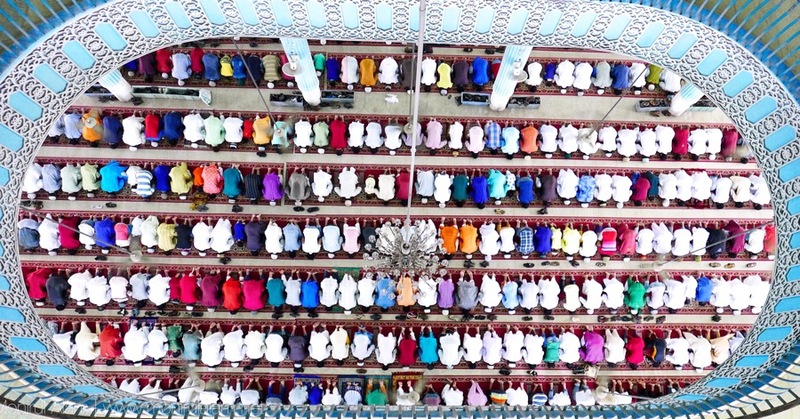 . .
Muslims attend Eid al-Adha prayers at the National mosque in Dhaka, Bangladesh, 25 September 2015. Muslims worldwide observe the Eid al Adha festival or Feast of the Sacrifice, when they are slaughter cattle, goats and sheep in commemoration of the Prophet Abraham’s readiness to sacrifice his son to show obedience to God.